Is the KonMari Method Right for You? The new Netflix show Tidying Up featuring Marie Kondo with her method of tidying she has named KonMari has the world buzzing again just like when her first books came out. In the show, she is working with people looking to declutter and get organized. First, let me say that I love that there is a new show bringing awareness to decluttering and getting organized! If the show has inspired you, awesome! If you have gone through the full process, and it worked and you never have clutter again, awesome! But... If you have tried it and it didn't work, you are not alone and are by no means a failure! It doesn't work for everyone just like any other system out there. How do I know this? Years of working with people who have tried. Even some who had me there to guide them through. I have had clients insist on trying a process they have read about. Think Peter Walsh, Julie Morgenstern, David Allen, Fly Lady, and Marie Kondo. All people great at what they do and that have great systems. The key is the system has to be right for you. I always let the client know my thoughts (based on assessing their personal situation and habits) and if they still want to try it I let them. It usually isn't long before they realize the system won't work for them. It's easy to fall in love with a great concept and want it to work for us. I know I have had my share of this with everything from organizing to eating habits and working out but cookie-cutter solutions don't work for everyone. My main reason for this blog is that I am very concerned about people that are chronically disorganized. They see a show like this try some of the tips and then feel like a failure which sometimes sets them back even more. While I love the concept of things sparking joy it isn’t practical with all items and honestly attaching joy to physical objects is foreign to me. I reserve my joy for people and animals. Do I love some of my things? Yes, but only things that spark good memories. That said, I realize that I am very practical and I won’t judge you if that favorite dress or that great pair of jeans sparks joy! 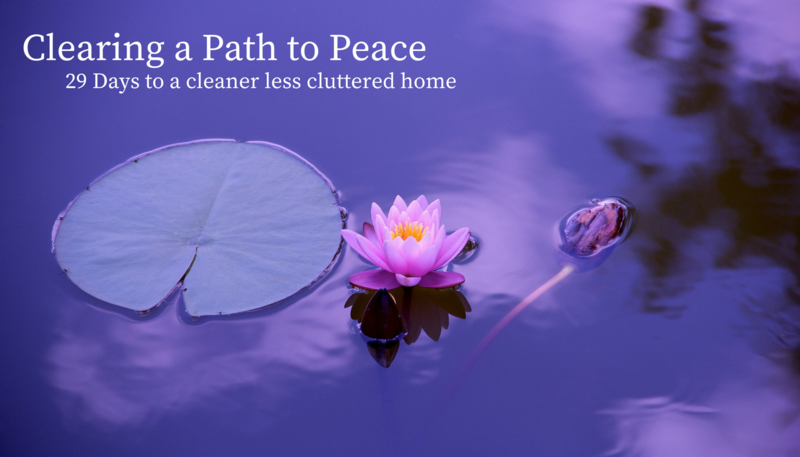 I talk about my strategy for determining what to keep in this post What is clutter? How do I Know When to Let Go? Also important to note is that if someone is suffering from hoarding most things will spark joy for them. It is essential that hoarders get help from a mental health professional. 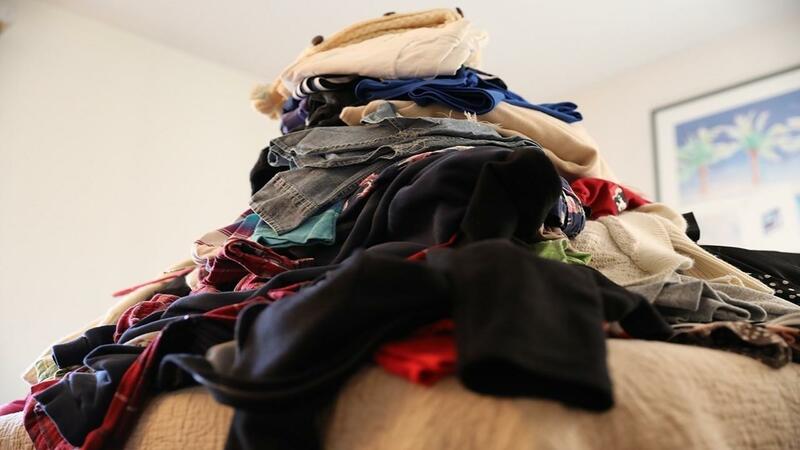 Her method has you gather every article of clothing all up and put it on your bed. This works well for some people but can be debilitation for others. First, it can evoke shame. Second, what if you don’t get them done in time before bed? Where do you sleep? How long will it take? Can you tell I never like to leave a client with a mess? If chipping away works better for you that is okay. I actually like to challenge people who want to do it all at once to chip away as it helps them set a habit of decluttering. I can’t say I understand the waking up the book thing and should probably read more into the reasons behind that. When I polled my community the overwhelming answer of the hardest thing to let go was books. My best advice is if they make you happy and you are treating them well, by all means, keep them. If you truly want to pare them down then think about where the best home would be for them to go to. Maybe your local library takes books, often they will sell them to raise money. You could also look into assisted living facilities, schools, adult learning to read programs, or perhaps you know the perfect friends to gift each book. Of course, ask your friend if they would like it first. Sometimes just knowing things will go to a good home will take the sting out of letting go. This is one area where I agree gathering it all up at once is important. In fact, it is the first step in my program but how I go from there is very different. Her approach to paper is very simplistic and what to keep isn’t that simple for everyone. She uses word miscellaneous here but I find it too vague. You won’t find any files or boxes in my home labeled that way, everything should have a category that makes sense to you. My best advice on what to keep for important papers is to talk to your lawyer and accountant. Lumping the rest into one miscellaneous category could mean a year of decluttering for some people. I find most people need more direction. Don't get overwhelmed thinking you have to do it all at once. I agree with her 100% to leave memorabilia to the end but I can tell you sometimes when someone tackles that first such a weight has been lifted off their shoulders that they can move through the rest of their stuff so easily. If you feel that might be you there is no reason you can't start there. It is so important to remember this is tv and edited. Highlights will never capture the full process. I did notice one of the video confessionals said 11:00 am and yet it was dark outside. I truly hope that the timeline of these projects is correct. I also hope they do follow-ups to see how the people are doing in six months to a year. I haven't commented on any of the specifics of the show simply because I can't be sure if what was presented is a true representation of each persons situation or outcome. If a specific episode resonated with you and you have any questions or want to know my thoughts feel free to reach out. You are not a failure if the KonMari or any other methods haven't worked for you. Trial and error is one way to find a solution for you but you can also hire a Professional Organizer skilled in finding what might work for you. I invite you to schedule a strategy session (no obligation) with me. This is a 30-minute call where we can discuss your unique situation and I can direct you to a solution even if it isn't hiring me! I know that sounds too good to be true but honestly if I don't think I am the right person for you or I think you can do it on your own I will be honest. Not ready to chat? Take my Find Your Organizing Style quiz by clicking below. This will give you some insight into how you work and give you some tips based on your style. Wishing you much Productivity, Peace, and Prosperity!